I was thinking about an Easter themed Mug of the Month the other day, could I find a mug decorated with bouncing lambs, fluffy yellow chicks, or spring blooms? 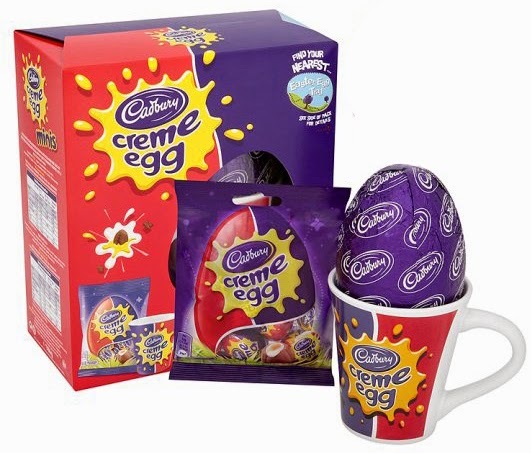 Then I remembered from my childhood boxed Easter Eggs with mugs. I recall our kitchen cupboard bursting at the seams with these brightly painted mugs - mostly royal purple due to my love of Dairy Milk. And these still exist! Keep an eye out when you go Easter Egg hunting this weekend.